Utilise one of our many General Plumbing Services, Specialist Plumbing Services &/or Civil Services. The services we provide, include but are not limited to those listed below. 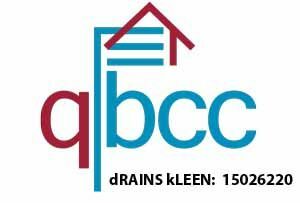 dRAINS kLEEN contact details are as follows, alternatively you can fill out our enquiry form, and we will get back in contact with you as soon as possible. dRAINS kLEEN plumbers are fully insured, licensed and experienced to complete the repairs and installation of your plumbing , gas fixtures and drainage. There is no need to call anyone else, because we do it all. Investing in the best equipment from around the world puts us ahead of the game. dRAINS kLEEN has the solution to your plumbing and drainage problems, therefore, WE are NOT your average plumbers. Providing condition reports for large scale pipes and mainline drain networks, for both new and existing drainage is a large part of what we do here at dRAINS kLEEN, all of our operators are accredited with WSA and follow the relevant codes. We look forward to working with you and / or solving your plumbing problems.